Abyss Tours creates magical memories and guarantees lowest price travel products to our customers with tailored collections of incredible holidays in India and Nepal. We design our holidays and activities using the very best hotels, tours and transportation to create your next magical and unforgettable experiences and memories. We negotiate fair deals so that you don’t have to.  Abyss Tours offers the best quality travel products, and takes away any worries you may have by researching ratings, feedback and certifications. Our friendly guides are experienced and knowledgeable and go out of their way to ensure your comfort and satisfaction. There are many options to choose from, we offer set tours and work with you to design a custom made program. Our teams provide the best and consistent service to all our clients across the country. We stay connected with our customers 24 hours all year round. We look forward to your feedback and are eager to hear about your happy experiences. We choose high quality products from our suppliers and associate with a number of excellent hotels all over India and Nepal. We have a division specializing in tailor-made programs with innovative and creative ideas to cover different interests. Rajasthan tours, North India tours (including Kashmir and Ladakh), Spiritual/Religious tours, South India tours with Kerala Backwater and Spa tours, Wildlife, Luxury Train tours, Golden Triangle and our magnificent Taj Mahal tour.